Programming is surely a tiring job if you're the type who do your codes from scratch. Other than wasting time, your stress level will surely gone high in just a few days, worst is, it can happen as early as few hours. 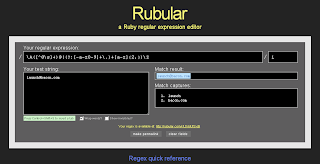 This site offers you a user-friendly tester for you regular expressions. It has a cheat sheet at the bottom to guide you. 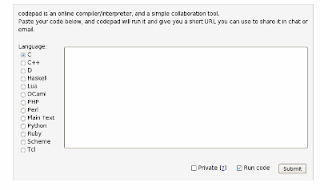 It has a field for placing your own regular expression where you can instantly check if it does work. Want to pass a code to a friend via instant messenger? or you just want so show off your code somewhere? Then pastie is the solution! 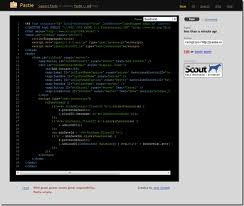 It allows you to paste your code on a notepad like screen and save it. With that, you can easily pass your code instantly to anyone. Pastie also provides pretty printer capability that detects almost all known programming languages, also it comes in all different themes. Want to test your code immediately? but either your not on your own system or accidentaly uninstalled your compiler? Then worry no more! Here at codepad you can easily check your work. 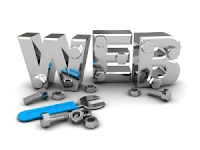 So you want to add image mapping capability to your site. But your not exactly sure about the coordinates, then this site will help you to point out the perfect coordinates for you. All you have to do is upload or link your image and start getting your coordinates! Have you already spent all your valid emails for testing? or don't want to use your own email for development purpose? Then guerillamail will surely help you. This decoy mail generator will give you a dummy mail that you can use for one hour. The good thing is you can easily received messages with this tool too. It is one of the best tools I've been using since I started my career. Too bad I'm not a programmer but I do use guerillamail from time to time. The sites mentioned here are for non-programmer. These are easy aid or assistant for their programming that they don't need to create a code anymore. They just cut and paste the code generated from these code. No worry. No hassle. This is great, especially for people like me who are not really familiar with programming. This fascinates me a lot because I have a lot of programmer friends, but it's difficult to relate to them because I have little to no experience in programming. Thanks, the tools you mentioned is worth a try. :D Thanks for sharing. I'm not really into these tools! But I think they are great though. Thanks! I'm happy with image maps very useful! Looks great! I don't program though but keep it up!